In this coda, Comyn examines the launch of the Jane Austen banknote, the emergence of cryptocurrencies, and their significance for debates about value and representation. These currencies, Comyn argues, return us to the (irrational) optimism that characterised the first financial speculations and crashes, and exposed the fictional elements of the economic system. Comyn demonstrates that regardless of the type of currency that circulates—whether specie, paper, or digital—the economic system always courts the imagination. The collision of the fictional and financial realms is not new. 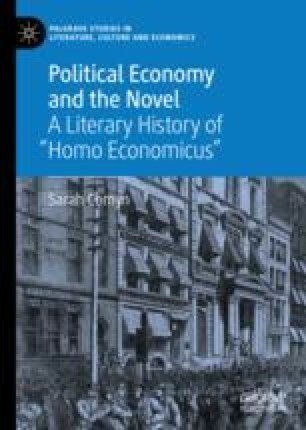 Instead, Comyn argues that the confluence of the imaginative and economic domains has always had a spectral presence in the history of economic theory and the novel; sometimes acknowledged, often ignored.